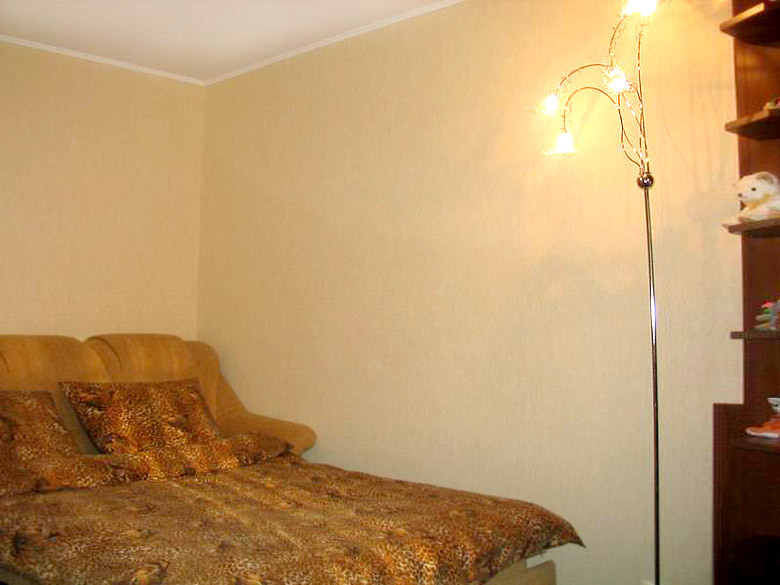 This western standard remodeled 1 room Kherson Apartment with balcony is located in a very safe and quiet district close to the city center. The city center is a 5-minute walk and the most popular restaurants in Kherson may be reached by a $1 taxi ride. The apartment has both elevator and stair access. Keep up with email & website access with Internet accessible computer via card at .25 -.70 cents an hour. Supermarket directly across the street with 24/7 accessibility. 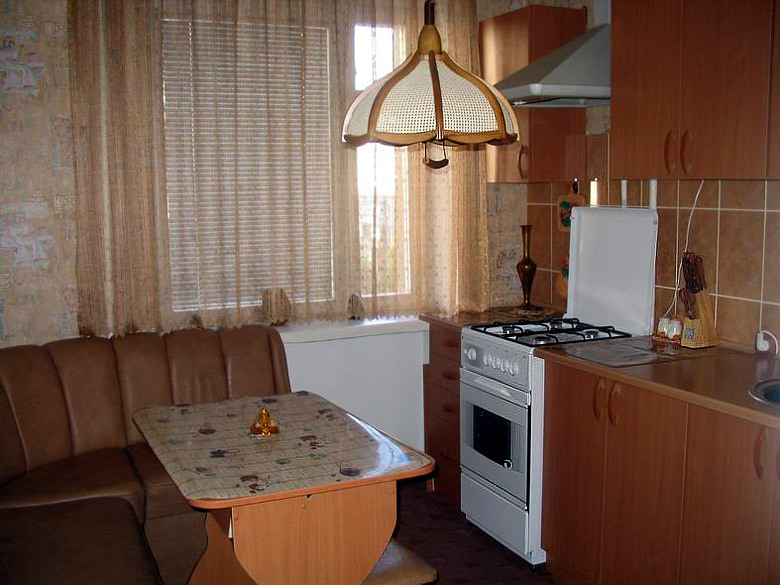 Kitchenette and dinning nook. 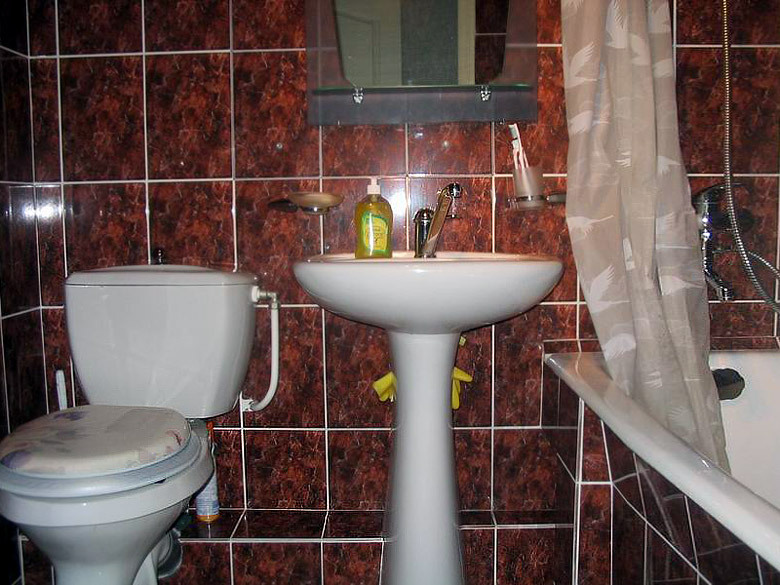 Amenities include TV, stereo, self-contained hot water heater, fan, washer & phone.